Who doesn't love a fast, simple crock pot meal??!! This is an EASY slow cooker chicken dish made with ONLY 6 INGREDIENTS including salt and pepper!! It's kid friendly and delicious. The chicken literally falls off the bone. It tastes great with rice along with that juicy, sauce on top!! - Take the skin off of the chicken. - Season chicken with garlic salt and pepper and place in slow cooker. - Combine maple syrup, balsamic, and Dijon in a small bowl and whisk until smooth. - Pour over the legs, making sure the chicken is covered. - Set your slow cooker to HIGH and cook 4 hours, or until cooked through and tender. 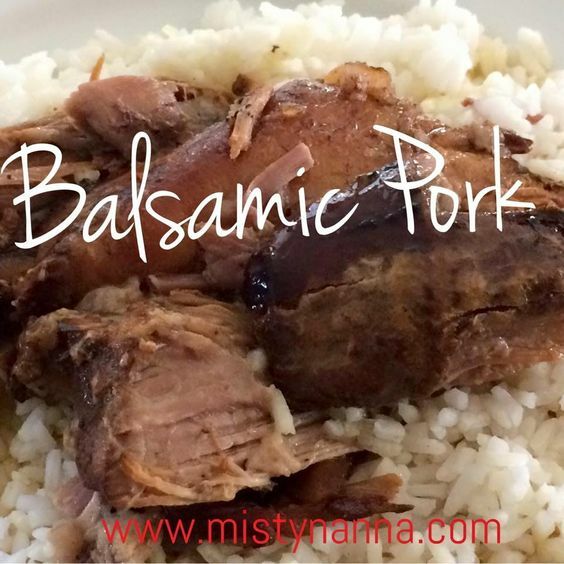 Crockpot Balsamic Pork....delicious!!!! Pulls apart so easily and just MELTS in your MOUTH!!! Pour that balsamic juice all over the pork that's been sitting in the crockpot all day long...mmmm!!! Only took 10 minutes to prepare before heading to work. I love SIMPLE and yummy!! - season pork with salt, garlic powder, and red pepper flakes and place into the slow cooker. - Push garlic cloves into the meat. - Mix together the broth, vinegar, Worcestershire sauce and pour over the pork. - Drizzle honey over the top of the pork. Once the pork is cooked and tender, remove from the slow cooker with tongs and into a serving dish. It should shred easily. Pour juice over top for delicious flavor. Wakey, Wakey, Eggs and Bakey!!! When I wake up at 5:00 a.m., Im NOT the happiest person. Ask my husband Todd! He is not even allowed to look at me! Ha ha! To jump into a workout routine right away is not doable for me. By the looks of my before picture, that would scare you in person! So I drink my E&E (Energy and Endurance) 10-15 minutes before I workout. It has no artificial flavors, artificial sweetners or preservatives and it does NOT give you that jittery feeling. Seriously....Im not lying!! What it does is give you that ENERGY you need to POWER through your workout with MAXIMUM performance! You also BURN more calories!! Gulp, gulp, gulp. I tell ya, 5 minutes into my workout, Im a NEW WOMAN!! Im like "C'mon, you ain't got nothing on me Tony Horton!". Yeah....bad language for me being a 4th grade teacher. Sorry teacher friends! Anyway, E&E is awesome!! Do you drink an energy drink?? Read the label. I guarantee it has artificial "you know what". If you're like me and are tired in the morning or exhausted from a long day of work and need that BOOST before your workout, then you need to try E&E!! I SWEAR by it!! Throw away the Red Bull and Monster....now!! WHOA....it was so hard to wake up this morning, how about you?!! I made myself get out of bed at 5:15 and start my day with one of my favorite workout programs...P90x3! This program is like my baby....why....it's the very first Beachbody program that Todd and I started back in January of 2014. This is the program that completely CHANGED our LIVES and TRANSFORMED our BODIES!! I guess that's why my first LOVE is with P90x3....it changed my life. What I love about P90x3 is the VARIETY of workouts that incorporate both cardio and weights. I love using the resistance band too. Not only did this program help me lose my first 14 inches and 10 pounds, but it made me soooo STRONG! P90x3 is on sale this month which is very rare. If you have any questions about the program or an interest, I would happy to share my experience and details with you. It's a 24 hour online team that motivates you and keeps you accountable. Best of all, you have me as your coach and a team to cheer you on! Join us!! Have you ever said that you will never be a certain weight ever again? 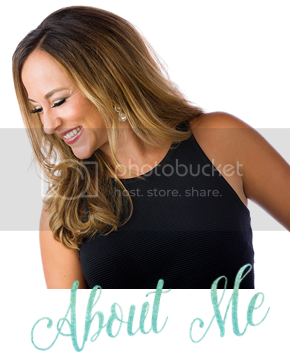 "When I started this journey of Beachbody I was over weight and embarrassed of the way I looked. My wife, Misty asked me what my goal was. I told her that I wanted to lose 20LBs. She asked WHY just 20? I told her there was no way my body would allow me to be 175 again. Well I was wrong. Today I weighed myself and I am PROUD to say I weigh 174 and have a new goal to hit the 160's!!" "All of you can hit whatever goal you set for yourself if you WANT IT! I did and so can you!!"